NCH Healthcare System’s $34 million outpatient medical center under construction in Bonita Springs is planned to open in December. “It’s on schedule,” said Phil Dutcher, NCH Healthcare System‘s chief operating officer. The Collier County-based nonprofit’s project — NCH Healthcare Bonita — is a 41,000-square-foot, two-story medical facility. The site, which is located west of U.S. 41 and just south of the border separating Bonita Springs and Estero, will include a 24/7 emergency room, outpatient imaging center, physicians offices and a surgery center. The first floor of the project is expected to open in December, Dutcher said. That part of the building will house the 24/7 ER and the imaging center, which will provide services such as MRIs, ultrasounds, CT scans and digital X-rays. The second floor of NCH Healthcare Bonita is slated to open in January or February of 2019, Dutcher said. Physicians’ offices and an outpatient surgery center would be located on the second floor of the facility. NCH began construction on the Bonita Springs medical center in April. Since then, most of the concrete walls on the facility are up. Stud work for the first floor has been completed and construction workers have begun to put up drywall, Dutcher said. “It’s moving along very, very well,” he said. Although NCH Healthcare Bonita will have a 24/7 emergency room, the medical facility will not function as a hospital. Patients who arrive at the Bonita Springs emergency room and need hospital attention will be stabilized and then transferred to one of NCH’s hospitals in Collier County depending on their condition, Dutcher said. “We anticipate the majority of them will be admitted to the NCH North Naples Hospital,” Dutcher said. The NCH project in Bonita Springs will create about 80 new jobs and the Collier County-based nonprofit has already started the hiring process, Dutcher said. NCH Healthcare Bonita will be the healthcare system’s second freestanding ER project, Dutcher said. The first is NCH Healthcare Northeast, which opened in November 2015. The facility is located north of Immokalee Road and east of Collier Boulevard in Collier County. Dutcher said NCH Healthcare Northeast has achieved high patient satisfaction ratings and NCH plans to use those best practices for emergency care — such as reduced waiting times, one-on-one patient care and fellowship-trained physicians — in Bonita Springs. Construction on the Bonita Springs facility began a month after the Estero Village Council in March rejected NCH’s plans for a similar proposal that would have allowed the healthcare system to run a 24/7 ER in the village. After Estero rejected NCH’s proposal, the healthcare system chose to move its emergency room plans south into Bonita Springs. The site is just beyond that city’s border with Estero. NCH Healthcare Bonita is being built between Walden Center Drive and U.S. 41. The site is next to Diamond Oaks Village and across the street from Angelina’s Ristorante. 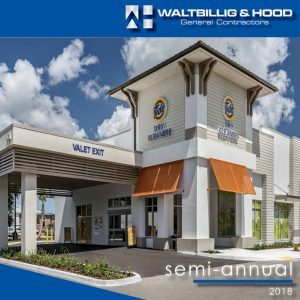 The project is also about half a mile from competitor Lee Health’s $140 million outpatient health village under construction off of Via Coconut Point. Lee Health – Coconut Point is scheduled to open in December and will also include a 24/7 ER. Lee Health received initial approval from state regulators in June to build an 82-bed hospital at the Coconut Point medical facility in Estero. HCA Healthcare, the nation’s largest hospital operator, has also received initial approval from state regulators for an 80-bed hospital in Estero. NCH has filed petitions opposing both hospital projects. Dutcher said the new NCH location in Bonita Springs has great access and visibility from its location on U.S. 41. While competitor Lee Health will operate another 24/7 freestanding ER nearby, Dutcher said NCH Healthcare Bonita will ensure south Lee County residents have a choice for their healthcare needs. 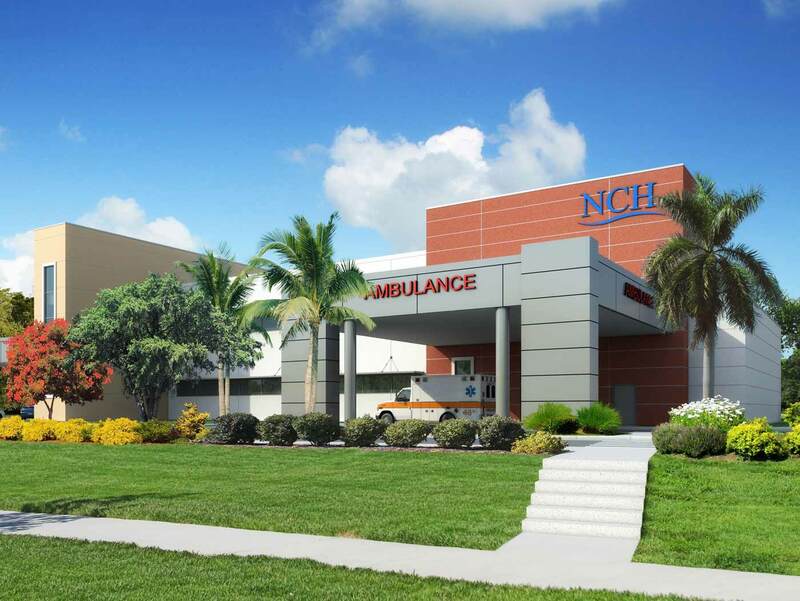 $34 million: The cost of NCH Healthcare System’s new facility in Bonita Springs. NCH said their organization is funding the project. 41,000: The medical center’s square footage. 80: The number of new jobs NCH says the project will create. 2: The number of floors the facility will have. The first floor will include a 24/7 ER and imaging center. The second floor will have physician offices and a surgery center.